Montana neon underglow usage is governed by the state's Code. All relevant laws, rules and regulations pertaining to vehicle lighting including car underglow in Montana have been provided below. Make sure to examine the regulations carefully and do not use any restricted lights. Usage of neon underglow lighting is governed by Montana Vehicle Code, Title 61: Motor Vehicles, Chapter 9: Vehicle Equipment, Part 2: Lighting Equipment. Is neon underglow legal in Montana? No flashing, rotating, or oscillating lights are permitted. Colors blue, red, and green are prohibited. Green, blue and red colors are typically used on emergency vehicles, and expressly forbidden by MT law which otherwise permits underbody glow. If the vehicle is not on a highway or public road, all car underglow colors are legal for use. Below are all relevant excerpts from Montana Vehicle Code that limit, restrict or allow certain aftermarket lights to be installed on vehicles. 61-9-209. Color of clearance lamps, side marker lamps, reflectors, and backup lamps. (1) Front clearance lamps and those marker lamps and reflectors mounted on the front or on the side near the front of a vehicle must display or reflect an amber color. (2) Rear clearance lamps and those marker lamps and reflectors mounted on the rear or on the sides near the rear of a vehicle must display or reflect a red color. (c) the light emitted by a backup lamp that must be white. (3) Any motor vehicle may be equipped with not more than two backup lamps either separately or in combination with other lamps, but any such backup lamps shall not be lighted when the motor vehicle is in forward motion. 61-9-226. Special restrictions on lamps — definition. (3) Flashing, blinking, sequential, rotating, or pulsating lights are prohibited except on vehicles that are authorized by this chapter to contain the lights or on a vehicle as a means for indicating a right or left turn or the presence of a vehicular traffic hazard requiring unusual care in approaching, overtaking, or passing. (4) License plate decorative lighting that is not original manufacturer’s equipment or undercarriage decorative lighting that rotates, flashes, or oscillates or that displays a color authorized by this chapter for use by police vehicles and authorized emergency vehicles may not be illuminated on a vehicle that is operated upon a highway or street. 61-9-402. Audible and visual signals on police, emergency vehicles, and on-scene command vehicles — immunity. (8) A police vehicle and authorized emergency vehicle may be equipped with a flashing signal lamp that is green in color, visible from 360 degrees, and attached to the exterior roof of the vehicle for purposes of designation as the on-scene command and control vehicle in an emergency or disaster. The green light must have sufficient intensity to be visible at 500 feet in normal sunlight. Only the on-scene command and control vehicle may display green lights, lenses, or globes. Our information about car neon underglow laws in Montana was last updated in 2018 and checked in 2019. In case any info we provided is not up to date or correct be sure to contact us so we can revise it. Thank you! Check our data with your local law enforcement or other relevant agencies! Montana underglow laws in certain cities or counties may be different from state legislation. While we do our very best to provide the most accurate information about LED and neon street glow usage we will not be held liable for any potentially incorrect or misinterpreted info. Montana is a state in the Western United States. 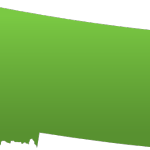 Montana is ranked 4th in size, but 44th in population and the 48th in population density of the 50 United States. The economy is primarily based on agriculture, including ranching and cereal grain farming. Other significant economic activities include oil, gas, coal and hard rock mining, lumber, and the fastest-growing sector, tourism. The health care, service and government sectors also are significant to the state's economy. Millions of tourists annually visit Glacier National Park, the Little Bighorn Battlefield National Monument, and Yellowstone National Park. Have questions about traffic or neon glow laws in Montana?